Most of us are now familiar with bluetooth technology, knowingly or not. The folks walking around with something over their ear, talking or singing to the air, are probably connected wirelessly to their cell phone and/or their tunes. 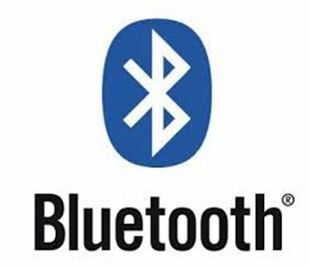 Bluetooth is a form of ultra-high frequency sound transmission, similar to FM radio waves. Bluetooth can be used to improve communication access by connecting to various audio-visual devices (e.g., computers, TVs, etc.) or listening devices (e.g., Hearing Assistance Technologies, or HAT, Assistive Listening Devices or ALDs). Remember, hearing aids (HA) work best in a QUIET “communication bubble”, within a social distance of about an arm’s length, or about 3 feet (1 meter or 1 yard). At greater distances, or when there is background noise, even very advanced hearing aids can’t help as much. Bluetooth is less expensive than FM (e.g., about $200 for bluetooth remote mic vs $1000 for FM mic). In some cases bluetooth may be used along with FM (e.g,. Phonak’s Roger Pen), to connect to a variety of every-day communication technologies. The devices to which the HA connect must also be “blue-tooth compatible”, or contain a blue-tooth chip waiting to be activated or paired with the HA. E.g., most cell phones now are blue-tooth compatible. In some cases, a remote control, “transceiver”, or “streamer ©” is needed as a relay station between the HAs and the HAT/ALD. This can be worn on a lanyard, inside a shirt, or outside. Great applications for use in a preschool, classroom, riding in the car, listening to TV, restaurants, sports arenas, museums, etc. Some HA manufacturers use an “open” bluetooth signal which works with other manufacturers’ products. Other manufacturers use a “proprietary” wireless signal which only works with their own products. Only ONE PERSON can wear the remote microphone at a time. The mic opening must be face up and it can be no more than one hand-length from the mouth – close is good! What newborn infant does not have the phone held up to her ear to hear Grandma or Daddy at work? Our babies “skype” with our relatives in another country, from 4 weeks of age. Many babies are (or should be) listening to “Pandora” radio, or “Disney Kids”, etc. from a very early age. Music and sound stimulation (at safe levels) is very important for auditory and cognitive development. Communication Access to ALL sounds and activities in the NATURAL ENVIRONMENT is vital to normal communication and social development. This begins in infancy. Communication Access to the popular media (TV, radio, iTunes, Facebook, Pandora, Twitter…) is vital to normal social development for Tweens and Teens. Not all transceivers have locking controls; make sure there is a way to lock the controls. Devices usually must be identified and paired with the hearing aids, within the HA fitting software, then synced with the HAs before being used. All the devices must be charged before/after use. You can get a charger with a splitter so that multiple devices can be charged at one time. With great appreciation, this information was written by Vicki Anderson, AuD, educational and pediatric audiologist, Minneapolis MN. This information was posted October 2014.